Research from Carnegie Mellon University Robotics Institute has helped created a real-time multi-person 2D post estimation software using pose machines. 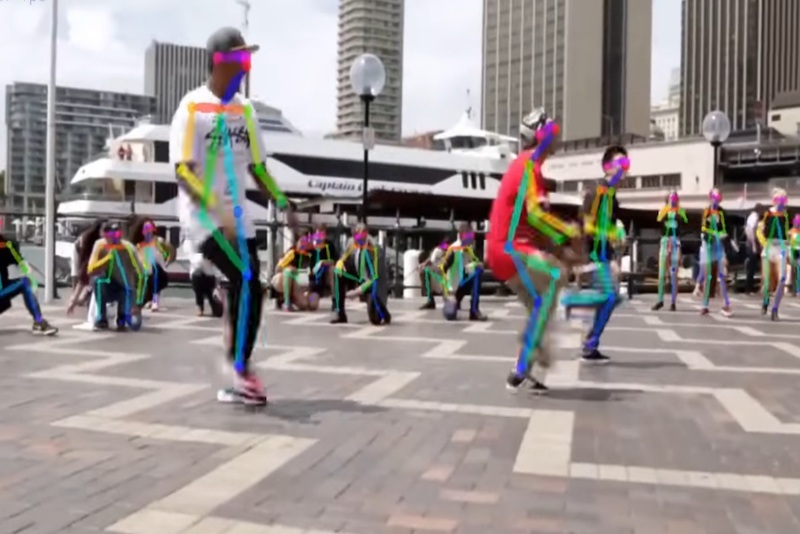 As people move around in front of the camera, their body parts are detected using colored lines as part of a new method called Part Affinity Fields (PAFs). The software uses confidence maps to present an approximate estimation of where the body parts are and then connects them together on top of the original footage. Predicting various things about the moving body, they resembled a colored stick figure.